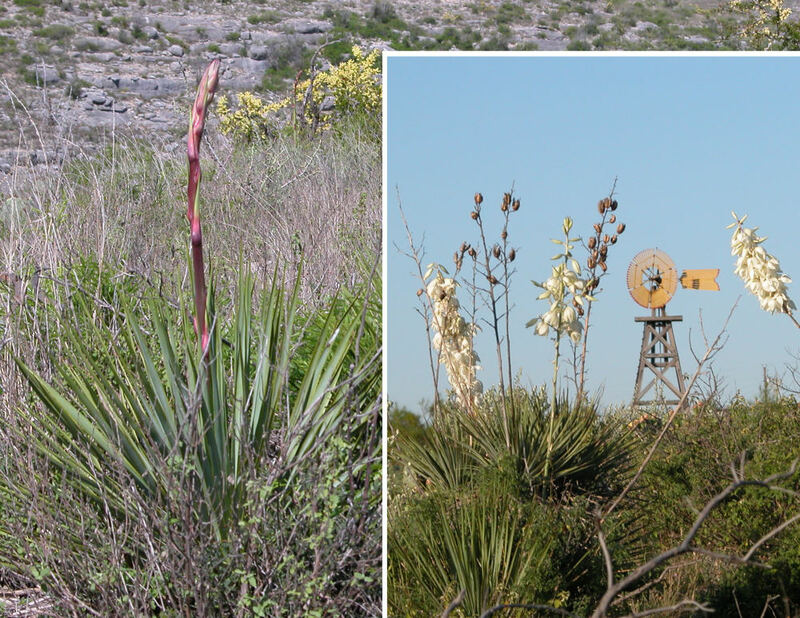 These two photos of narrow-leaf yucca (yucca reverchonii) show the plant flowers in different stages, the young emerging flower stalk on the left and blooming flowers and old flower stalks on the right. Native peoples took advantage of seasonal changes and harvested different plant parts at different times of the year to meet different needs. Photos by Phil Dering.